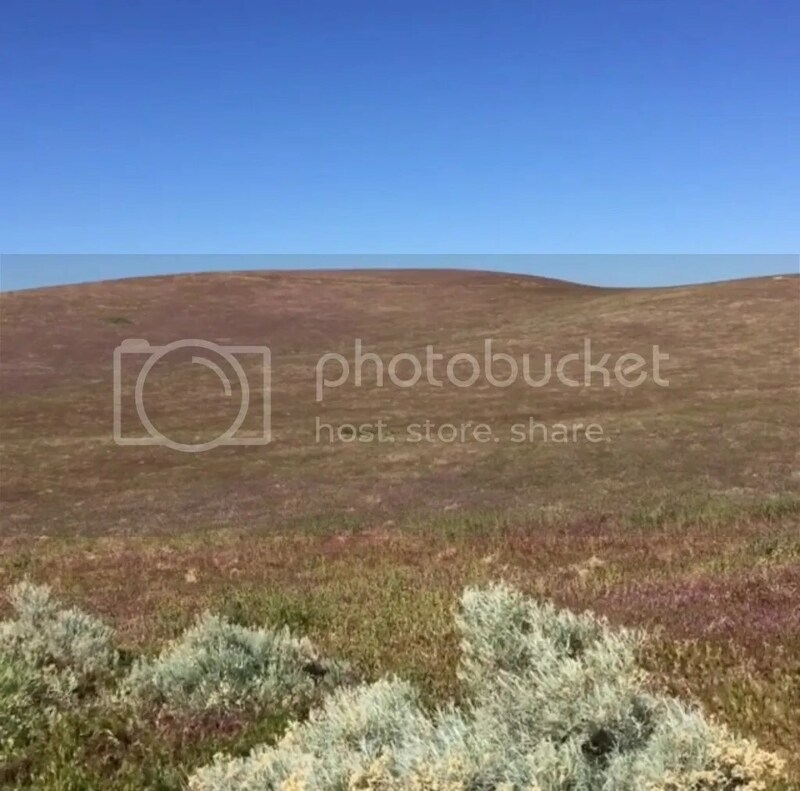 My friends and I went to the Antelope Valley CA Reserve this past weekend, and we were sad to say that there were NO fields of poppies. The reason that we went was because 1)Who doesn’t want to have a pic with a lot of poppies 2) She swears on her life that some of the purple flowers smells like grape soda. Unfortunately, both weren’t there! We should have relied on the bloom status at the official website: here. However, we made the best of it. We got there early around 9 am and waited for a tour at 10 am. It was still early and not a lot of people were around. We took pictures with the field of grasses and walked part of the South Loop. At 10 am our tour guide, Jane, took us and probably 3 other people to the North Loop. She was very informational on the wildlife and the plants, flowers, and vegetation in the preserve. 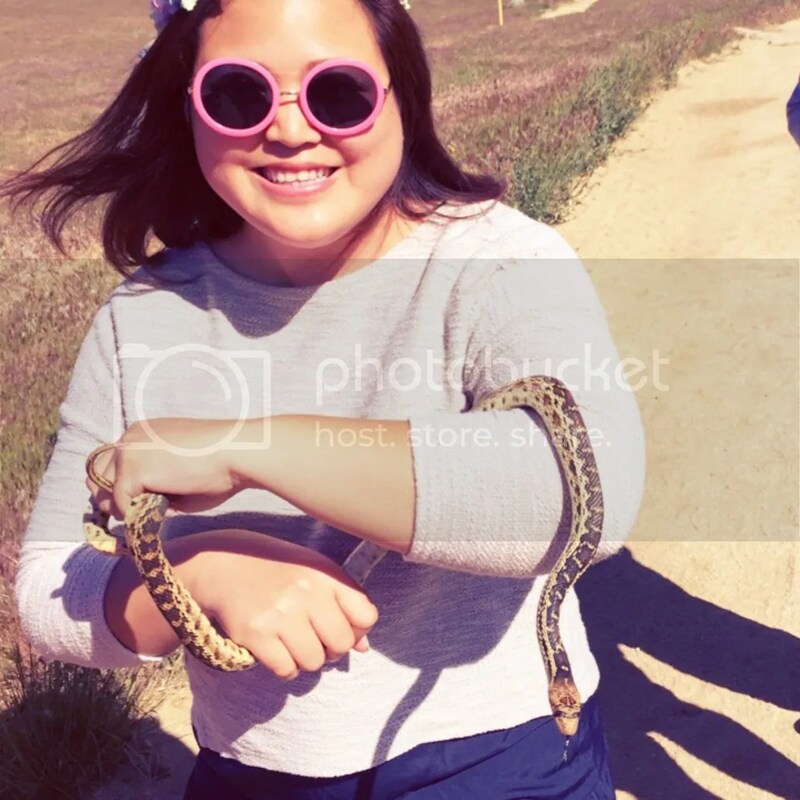 We even got to hold a garden snake (his name is Ralph). We asked her what was the best time to see the poppies. She said that this year was an off year and we could’ve seen them before the season even started. Around the end of 2015, they thought it was very promising, but the Winter was so cold that they lost some to the freeze. Around 11:30 or so people started piling in. It was kind of funny to see that the immediate reaction is “Where are all the poppies?” I really like this one couple I overheard. They came all the way from Europe to check out the poppies because they saw it in the Brochure and they told someone. “We saw the poppies here, but this is what we get when we got here?” Kind of sad for them. When we were climbing, we kind of saw a patch of poppies in the distance (it was really prominent). We made a short detour, before heading back ,to that patch. Apparently, this is private property, but it doesn’t stop people from taking pictures there. Take proper shoes because there’s a climb (It’s almost like hiking but not really). Wear something warm because it gets windy. Also make sure that you check out the bloom status before going. On a side note: if you’re ever in Lancaster, you might want to check out the Honda Musical Road or Civic Musical Road. Located at Avenue G between 30th and 40th Street West, this road appears in the Honda Civic Commercials. If you drive on Northbound side of Avenue G from the 14 Freeway, you will hear a slight resemblance to William Tell Overture. Apparently, the best is at 55 mph and if you roll down all your window. 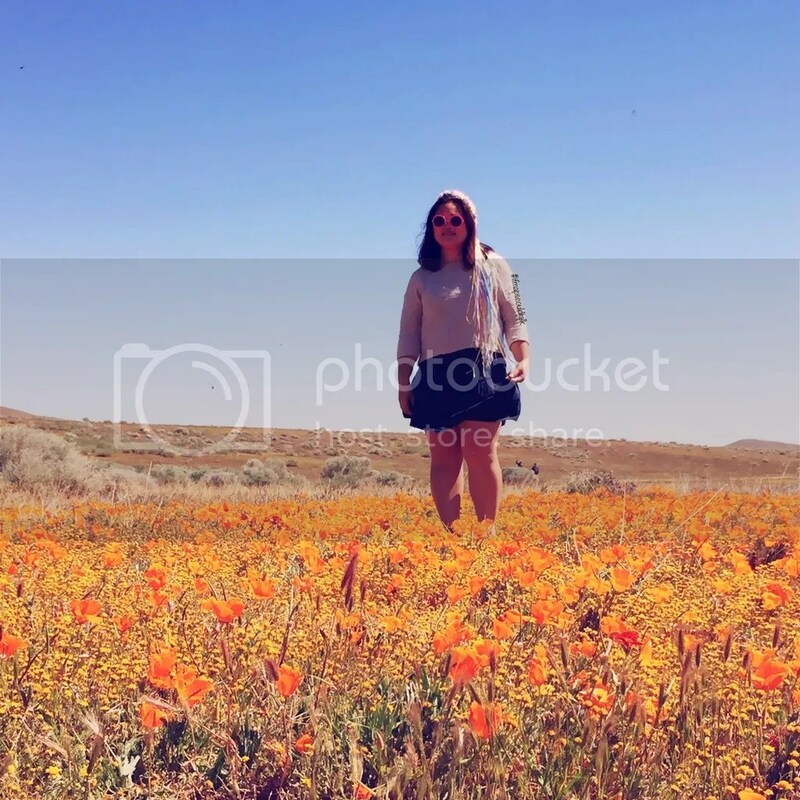 This entry was posted in Events, Hiking, Los Angeles County, The Valley and tagged Antelope Valley Poppy Preserve, Lancaster, Los Angeles, Other. Bookmark the permalink.